Tough interview questions are inevitable in today's competitive job market. 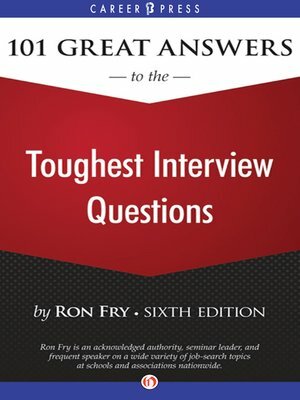 Ron Fry's 101 Great Answers to the Toughest Interview Questions has helped more than 500,000 job seekers pinpoint what employers are really asking with every question, and more importantly: what they want to hear in response. This no-nonsense guide will prepare you to leverage the trickiest questions to your advantage. Learn how to deal gracefully with complicated case interviews, various personality types, and even potentially illegal questions - all while avoiding common mistakes. Get the expert answers employers are looking for!